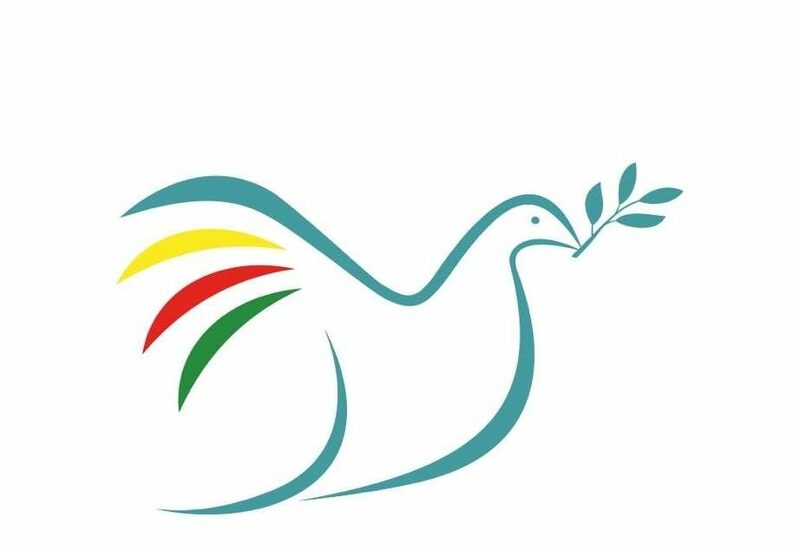 As part of Peace in Kurdistan’s continuing monitoring of the ongoing KCK Trials in Turkey, solicitor Tony Fisher and barrister Melanie Gingell have returned from Istanbul where they observed the latest hearing of a mass trial of 46 Kurdish lawyers. Tony Fisher, a member of the Law Society’s Human Rights Committee, has written the following report about the hearing on 3 January, which includes a summary of the proceedings and a commentary on the highly politicised nature of the trial. The report is also available for download. 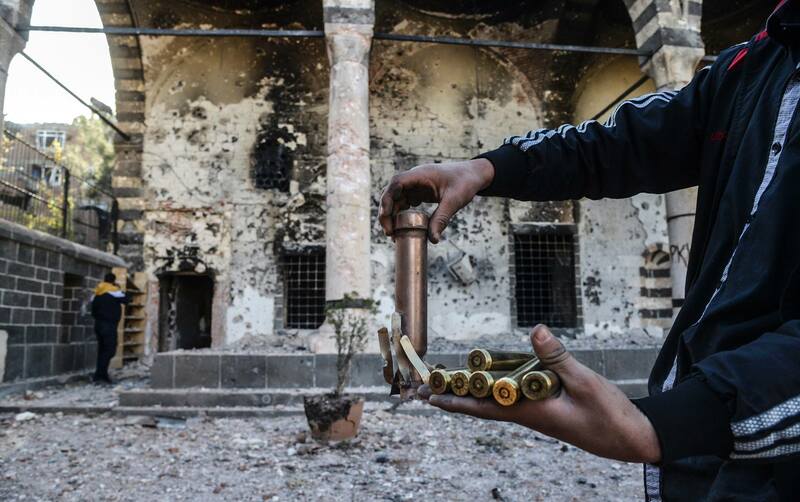 This is a further report on the trial of 46 Kurdish lawyers and other professionals on alleged terrorist offences arising out of their position as representatives of the PKK leader Abdullah Ocalan. The trial was adjourned from November 2012 to 3rd January 2013 and resumed on the morning of 3rd January at Silivri court. This report should be read in conjunction with my earlier report dated 8th November 2012. Immediately after the hearing which took place in November 2012 the hunger strike amongst KCK defendants had been called off. This had happened on the instruction of Mr Ocalan. In the days before the resumed hearing news emerged from the Turkish government that members of the intelligence service had been in further discussion with Mr Ocalan with a view to re-opening talks to find a solution of the Kurdish issues in Turkey. On the day of the trial itself government members visited him for further discussions. After the hearing in November 2012 I obtained a copy of the indictment against the Defendants. It is 892 pages long. With the assistance of two members of the International Action Team (“IAT”) of volunteer lawyers and students who work with the Law Society of England and Wales a summary of the indictment and the charges against each of the Defendants translated into English has now been prepared. This shows that the essence of the case against each of the defendants is essentially the same i.e. that in their capacity as lawyers for Mr Ocalan they effectively acted as “mediators” who provided members of illegal organisations with “information and direction” from Mr Ocalan and as such were involved in the “strategy and management” of the illegal organisations. The indictment also gives further insight into the methods used to collate evidence, including the use of telephone intercepts, search warrants in relation to both office and personal accommodation, and detailed analysis of publications made and interviews given by various defendants to the media. Other forms of surveillance (including “technical searches” making use of telephone signals to identify the geographical location of defendants) were also used. Items confiscated and examined included hard disks containing confidential client information with regard to other clients, together with their physical case files. These were also subject to detailed scrutiny in an attempt to secure evidence of the lawyers own involvement in terrorist activities. “314. (1) Persons who found or run a military (armed) organisation in order to commit the offences in parts 4 and 5 of this chapter shall receive sentences of 10 to 15 years in prison. Offences under parts 4 and 5 are offences against national security which would include becoming members of terrorist groups. I understand (from research undertaken by the IAT members referred to above) that under sections 135 and 140 of the Turkish Law on Criminal Trials, the communications of a suspect or a defendant can be traced (subject to judicial authority being first obtained) whenever an investigation reveals good reasons to suspect that an offence has been committed and evidence cannot be obtained through other methods. This includes recordings of sound, audiovisual records and the monitoring of a person’s behaviour in public areas. It appears that application had been made to judicial authorities to secure the necessary permissions for such monitoring to take place, although the authority given had allegedly been exceeded in many cases. I understand that section 135 of the Law on Criminal Trials also takes account of the right to freedom of communication, which is enshrined in Article 22 of the Turkish Constitution. As a result, S135 imposes many restrictions on when and how “bugging” can be used to gather evidence for a criminal investigation. These restrictions are based on proportionality and practicability and where evidence can be obtained by more than one method, the one that should be preferred is the method that is the least restrictive of the suspect’s civil liberties. Thus, bugging can only be used as a last resort where there are no other possible means by which evidence can be obtained. Evidence obtained in this way can be used in a trial only if it has been obtained lawfully. In these cases, the indictment states that a court order was obtained to allow evidence to be gathered in this way. However, the decision of the court to grant the order can be criticised. It is not clear that use of these provisions was proportionate (especially since it involved the breach of legal professional privilege between the lawyer and other clients) and whether evidence of alleged involvement in terrorist activities could not have been obtained in any other way. All of the lawyers argue of course that despite the methods used, the evidence obtained is insufficient to warrant the prosecution, and various applications were made, as summarised below, for evidence to be excluded on the basis that it had been obtained illegally. On the day prior to the trial I was given the opportunity, via Human Rights Watch, of interviewing one of the Defendant lawyers in Istanbul. I will not identify the lawyer, but the lawyer was able to provide details of procedures which had to be followed in order to secure a visit to Ocalan to take instructions. The Ministry of Justice would only accept applications made by fax via a single law office, the office of “Asrin” law firm. Application had to be made at least a month before any prospective visit. 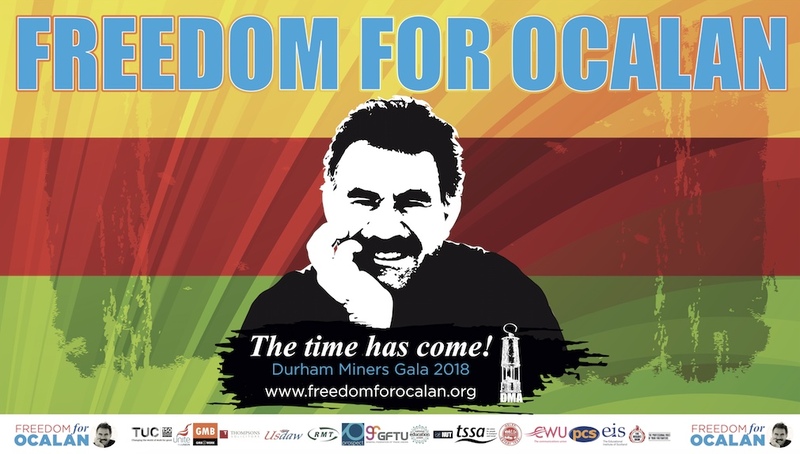 Ocalan is held in an island prison. The lawyers attended the police facility on shore at the port prior to the visit. Each lawyer was subject to some nine searches before being allowed on the boat which transported them to the island. The lawyers were not allowed to take any telephones, pens, paper or documents with them to the island. After a two hour boat trip there was a further wait during which each of the lawyers was fingerprinted and photographed. Allegedly each lawyer was searched a further 12 times which included walking through x ray machines and being scanned with other equipment. They also had to surrender any other items (even wedding rings were removed). Shoes were checked. The guards were all senior personnel not below the rank of sergeant or officer. All carried small automatic weapons. There were nine guards. They were then taken to a room which contained three desks. One desk, which they sat at, had four chairs. Facing them was another desk to which Ocalan was brought. Between the two desks was a third desk at which an official sat with paper, pencils, and a tape recorder which was running (they could see the red light). It was summer and very hot but there was no air conditioning in the room. They all introduced themselves by name and Ocalan asked questions about the current political situation and about the activities of the PKK. On this occasion no instructions were given but he clearly expressed his opinions and had clearly prepared carefully for the meeting. The lawyers were with him for an hour. The visit was undertaken with the consent of the government (as of course all visits would have been). A note of the meeting was made later and stored with other records. This defendant has been charged (in the same way as others) of committing terrorist offences. As with the other lawyers all of the lawyer’s electronic case files involving other clients were confiscated and examined without the consent of those clients. The hearing was conducted within a much larger court at Silivri than the court used in November 2012. There was sufficient accommodation for all relatives as well as the lawyers and the international delegation to be present at all times. The timing of the hearing immediately after the New Year period meant that the international delegation was much reduced in number. In all roughly 20 observers were present from the United Kingdom, France, the Netherlands, and Germany. It appeared that the number of Turkish lawyers representing the defendants had increased since in all there were over 100 lawyers present on the benches reserved for Defendant’s representatives. On enquiry we were told that all of the lawyers were representing all of the defendants. Similar security arrangements were in place as had been seen in November with a large presence of gendarme and other security personnel. Many were in full riot gear and had water cannon on standby. All those entering and leaving the court house were being filmed. The morning started with an application by one of the lawyers for the proceedings to be adjourned to allow the new law which had been announced at the time of the previous hearing (to allow the use of Kurdish in criminal proceedings where the defendant wishes the proceedings to be conducted in their mother tongue) to be passed. This was rejected. The judge then invited a number of defendants to come forward for charges to be read and to answer questions with regard to the charges against them. All save one demanded an interpreter and refused to answer questions unless one was provided. One lawyer, Umit SİSLİGÜN, was prepared to speak in Turkish and claimed that all allegations in his case file were untrue. He had been to see Ocalan only once and had followed the procedure demanded by the Ministry of Justice, had not been allowed to take anything with him, and the interview had been recorded so that the state was aware of everything that was said in any event. Further defendants refused to answer the charges in Turkish and there was a short adjournment. Subesquent to the adjournment a long submission was made by one of the lawyers which focused on the lack of any “rule of law” on the island on which Ocalan had been imprisoned. Reference was made to the fact that the ECtHR had found the mode of his incarceration in violation of article 3, and his isolation was made subject to an application to a domestic court to determine whether or not it was incompatible with Turkey’s obligations under the European Convention on Human Rights. This had been refused. Attempts made to visit him had often been thwarted by representations that the boat used to transfer lawyers to the island was broken. Further representations were made concerning bail and complaints were made concerning the recording of the interviews as a breach of client confidentiality under Turkish law. The hearing then adjourned for lunch and the international delegation were invited to meet the judges and exchange pleasantries. Opportunity was also given during the lunch break for the delegation to greet the accused but no effective communication took place. Much of the evidence in the case files relating to conferences which the Defendants may have attended, press coverage etc was entirely irrelevant to the charges and should be removed. Mr Tahir ELCI then addressed the judges. Mr ELCI is the President of the Diyarbakir bar. He argued that the lawyers were not members of a terrorist group but were being punished for practicing as lawyers. There have been problems regarding the Kurdish issue for over thirty years in Turkey. The government had just confirmed that they are having negotiations with Ocalan. In these circumstances criminalising lawyers who have acted for him was a breach of their rights. Lawyers are the most important protectors of the democratic state. They should be free to practice without persecution. There were many provisions in the Turkish constitution which negated human rights. Lawyers were equal to the prosecutors. Mr ELCI referred to a case that he and 15 other Kurdish lawyers took to the EctHR after they had been jailed and tortured for pursuing cases on behalf of applicants alleging gross violations of their rights in the 1990’s. They were in prison for six months and the EctHR found that their rights under Articles 3, 5.1 and 8 had been violated. In this case the lawyers had spent an unacceptably long period in pre-trial detention and their rights under Article 5 and 6 of the European Convention on Human Rights were being violated. Steps were being taken by the legislature in Turkey to try and reduce pre-trial detention and the judges had to consider that. There was also no evidence to prove that the Defendants took Ocalan’s words to the PKK. The government speaks to Ocalan so why should his lawyers not speak to him. There were many decisions against Turkey at the European level. Many of the defendant’s had come back to Turkey to face the charges and were therefore very unlikely to abscond. They should be released. Mr ELCI was followed by the President of the Ismir bar association and 25 other representatives during the afternoon. In this report I cannot summarise every submission but the themes followed those set out above. The Defendants who remain in custody have now spent over 400 days in custody. Many advocates pointed out that their clients had faced previous charges in relation to the same interviews with Ocalan but had been on bail during the trials and had been acquitted yet they were now detained pending the present trial whilst some of their colleagues had been granted bail. There appeared to be no logical reason why they had been discriminated against in this way. All of those lawyers who represented lawyers who remained in custody pleaded for their release. Many had come back from other countries (Iraq/Syria) to face the charges and were therefore more unlikely to abscond. No reasons had been given for the refusal to grant them bail. Further representations were made with regard to the role of the police. In many of the ECtHR cases historically, the Gendarmerie have been referred to as the “eyes and ears” of the prosecutor in Turkey. However in this case it appears that police statements on case files go much further in terms of giving statements of opinion with regard to the implications of the factual evidence assembled. Complaint was made by many advocates that the police are attempting to usurp the role of the judge in terms of deciding the guilt of the defendants. Others complained that the prosecution authorities had effectively made it an offence to represent Ocalan. One lawyer complained that after every interview with Ocalan the prosecutor had started an investigation. There had been over 100 such investigations which had led to many charges prior to the current trial, many involving some of the same defendants. There had been no convictions and prior to the present trial the defendants had not been held in custody. He suggested that the President of the current court had made rulings in previous cases that the recordings of the Ocalan interviews could not be used as evidence. What had changed? Since the judge had indicated throughout the day that the court would finish at 5pm many advocates complained that they had to rush their submissions, some having less than five minutes to put forward submissions towards the end of the hearing. The hearing concluded at 5.50pm with an adjournment before a decision was made. The decision was announced at approximately 6.30pm. In effect all applications made to exclude evidence obtained illegally were dismissed. The trial was adjourned until 28th March 2013. Bail was renewed for those on bail, and one further prisoner was bailed (Mr Davut UZUNKOPRU). The remaining defendants were remanded in custody. It should be noted that the Prosecutor, although present in court throughout, took no active part in the day’s proceedings. Observations made on 3rd January, and the interview on 2nd January, highlight the highly unusual and political nature of this trial. Political and cultural issues are inextricably interwoven with legal issues, principles and procedures. All parties, including the prosecuting authorities, the defendant’s lawyers and the defendants themselves are contributing to the politicisation of the trial. The collective decision to refuse to co-operate with the trial process by the vast majority of the defendants unless they are allowed to speak in their mother tongue, whilst understandable, is curious. All of them conduct their day to day business in the courts as lawyers in Turkish, and all of the submissions made on their behalf at the trial have been in Turkish. Whilst the struggle to pursue respect for the Kurdish culture and language is of course a very legitimate struggle there is a question mark over whether this struggle is best developed via this particular case. That of course is a matter to be dealt with between the defendants and their advisers. However in some ways it detracts from the other issues in the trial. under article 8 (in relation to the issues which the invasion of family life resulting from searches of the defendants homes and intercepts of their private conversations with their families raise). 16. Governments shall ensure that lawyers ( a ) are able to perform all of their professional functions without intimidation, hindrance, harassment or improper interference; ( b ) are able to travel and to consult with their clients freely both within their own country and abroad; and ( c ) shall not suffer, or be threatened with, prosecution or administrative, economic or other sanctions for any action taken in accordance with recognized professional duties, standards and ethics. 18. Lawyers shall not be identified with their clients or their clients’ causes as a result of discharging their functions. There are also substantial issues surrounding breaches of domestic law for failing to obtain appropriate judicial orders to intercept communications, failing to respect the boundaries of the orders which were obtained, and also concerning the probity of those orders being made anyway. There is also the question of the length of pre-trial detention of all the defendants who are not on bail which now seems excessive. All of these issues should be investigated and further monitoring of the trial should take place.